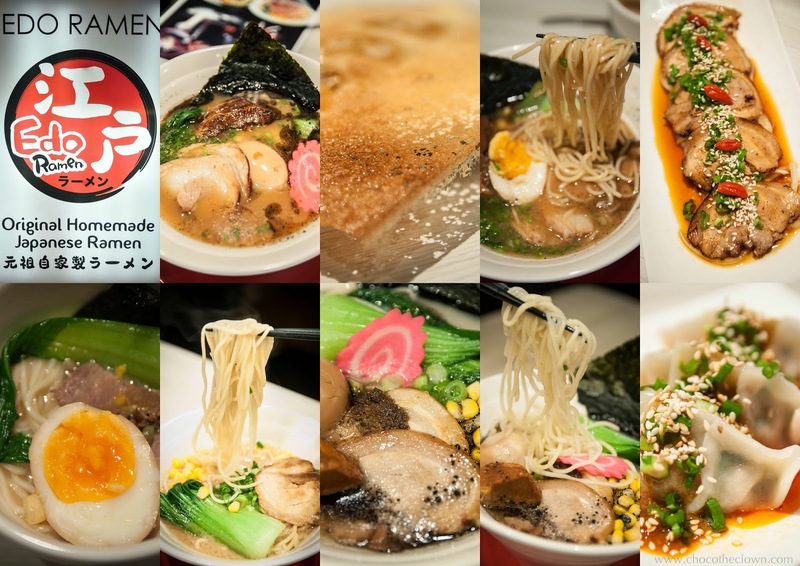 Edo Ramen – the original Handmade Japanese Ramen. 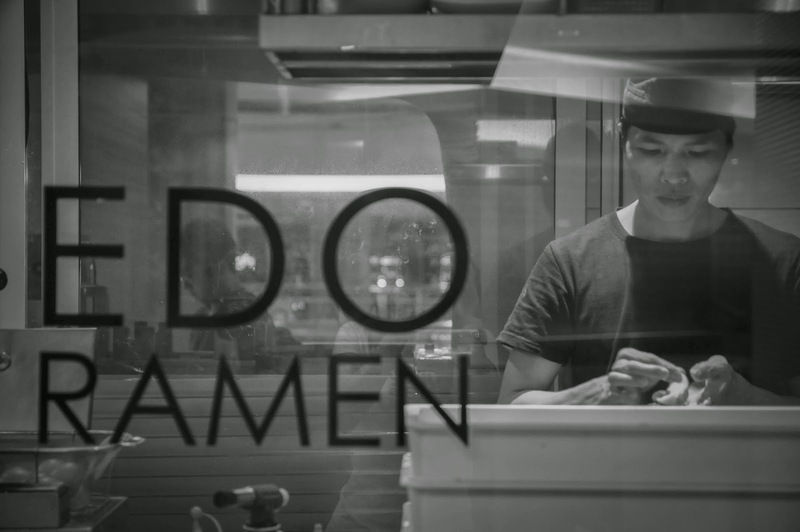 Edo Ramen introduces Malaysians to Tokyo-style ramen, a unique recipe by notable ramen connoisseur Mr Tetsuya Fukino. 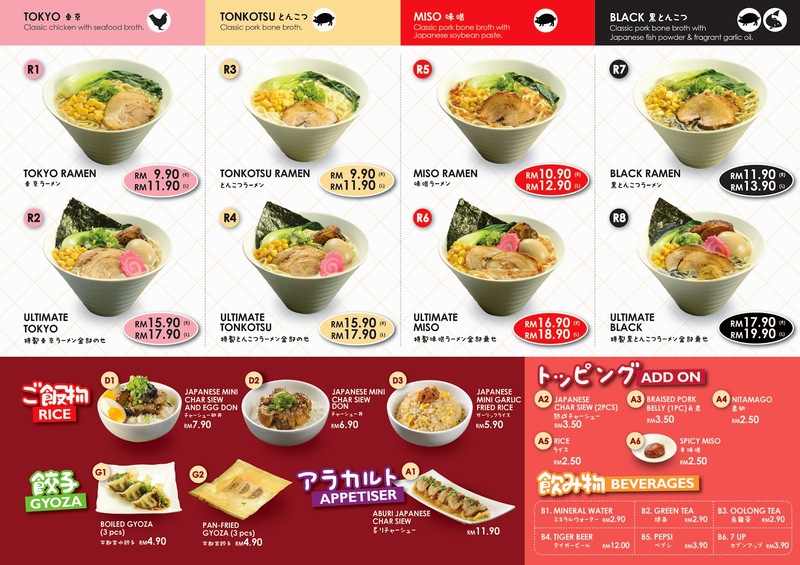 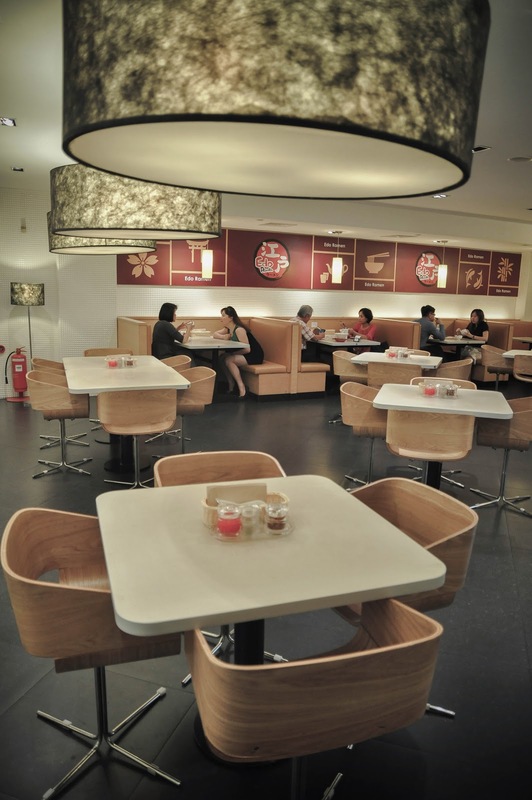 Ramen enthusiasts can choose from 4 types of soups and 2 categories of toppings depending on personal preference. 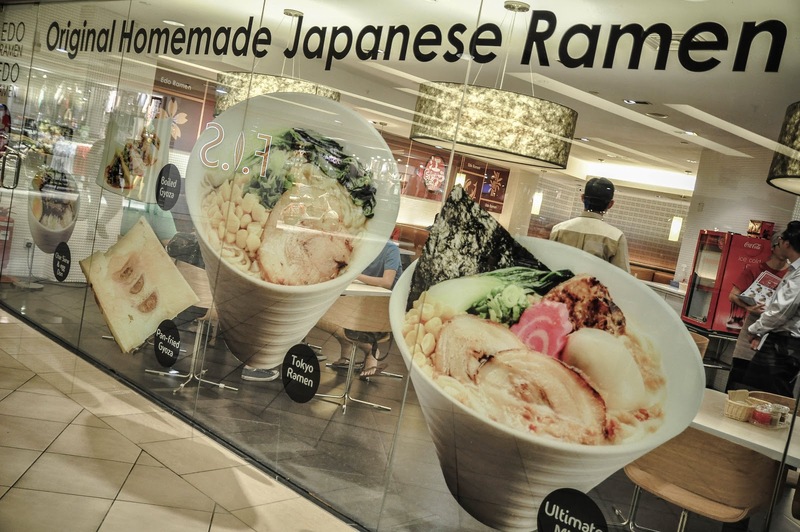 Affordable RAMEN starting from RM9.90 per bowl!!! 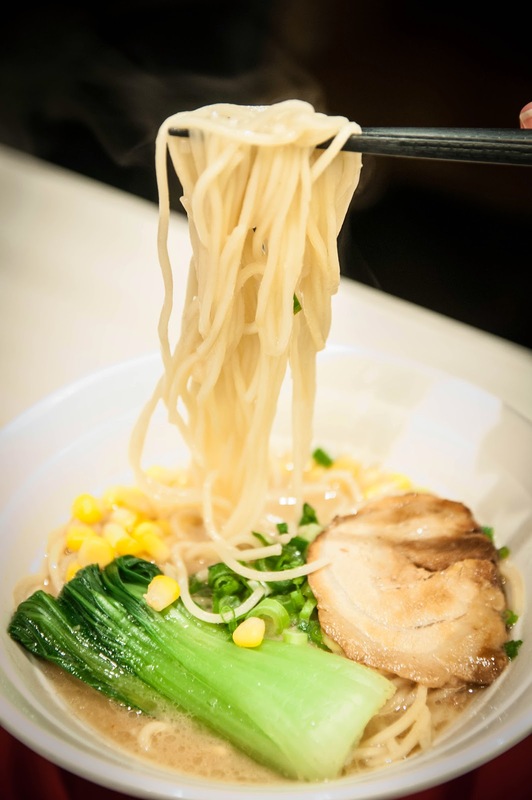 The Original Homemade Japanese Ramen,is made fresh daily to ensure its delicious texture and mouth-watering flavour. 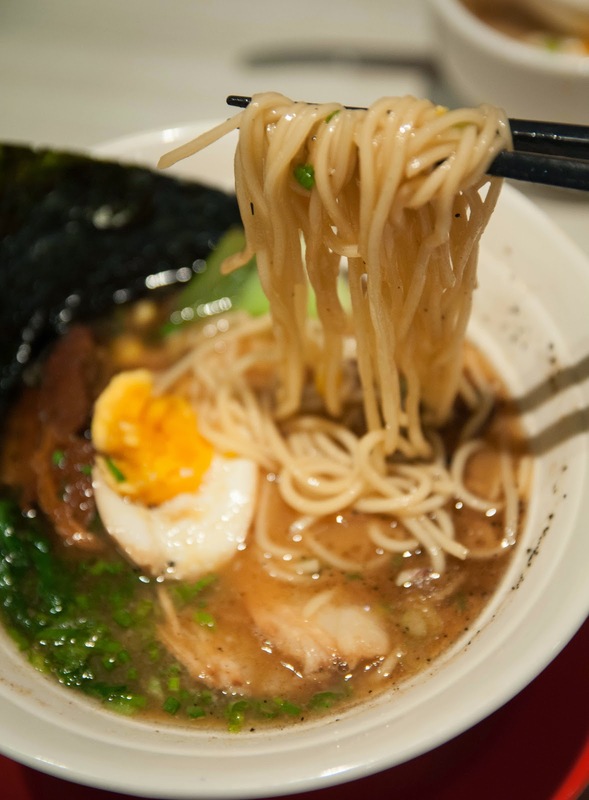 Each serving of ramen is cooked firm to the bite, with fragrant aroma and taste of wheat exuding from every chew. 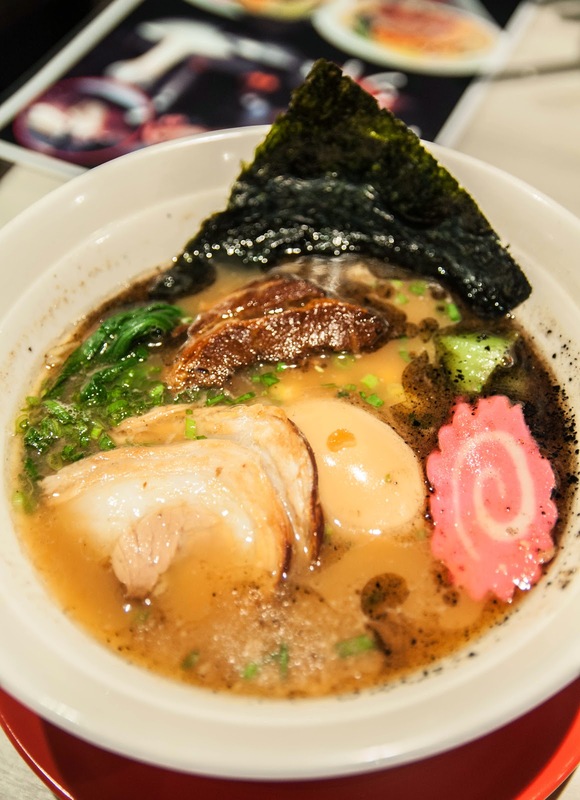 Ramen lovers simply cannot resist this flavourful broth. 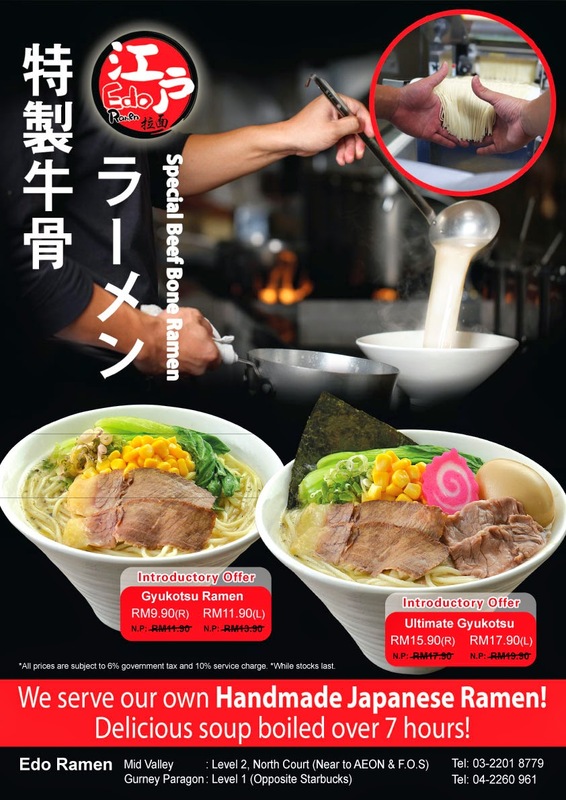 Made of pork bones boiled over medium to high heat for more than 12 hours where the essence is extracted and emulsifies to creamy consistency and hearty flavour. 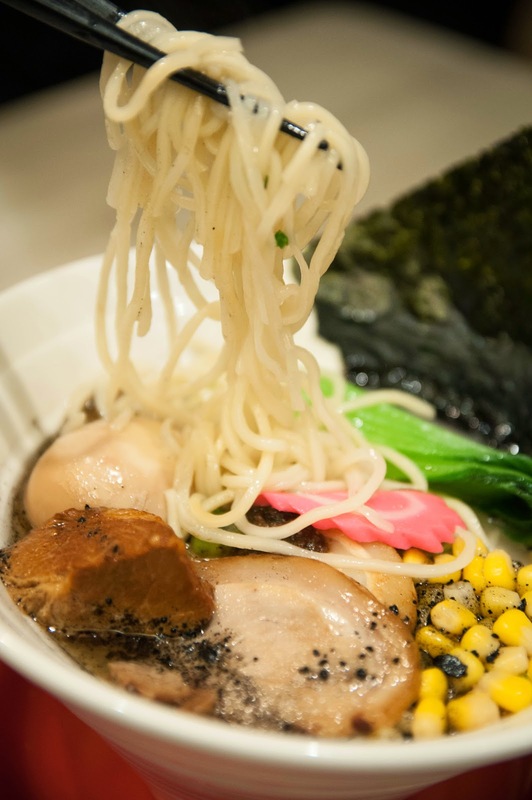 One of the essential toppings for an absolutely delicious ramen experience. 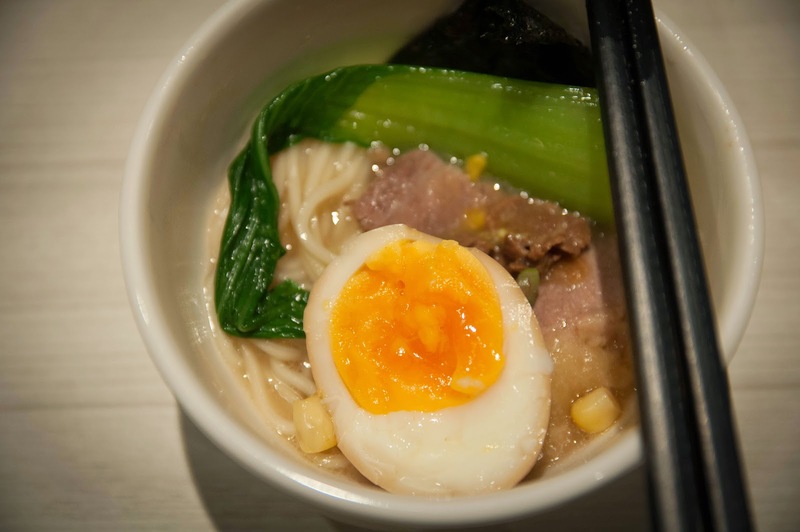 The egg is soft-boiled, so the white is cooked solid, but the yolk remains runny. 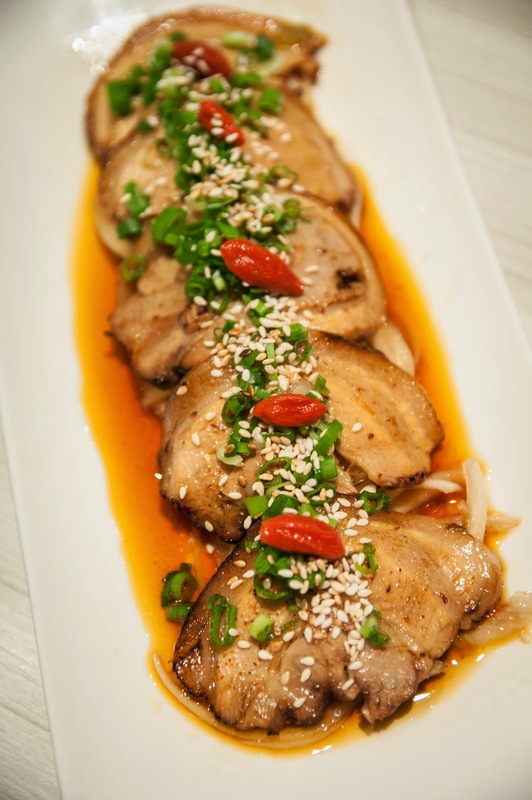 It is then marinated in sauce till it is just right in taste and texture. 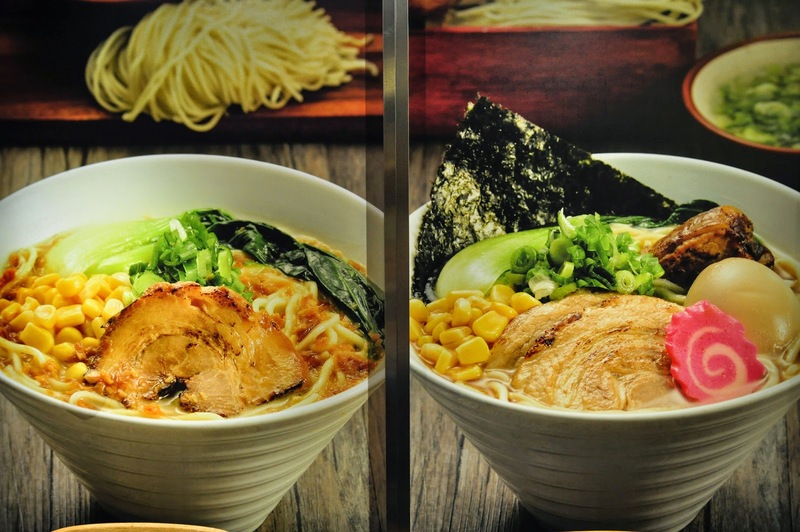 As the name suggests, this is the choice for ultimate ramen lovers. 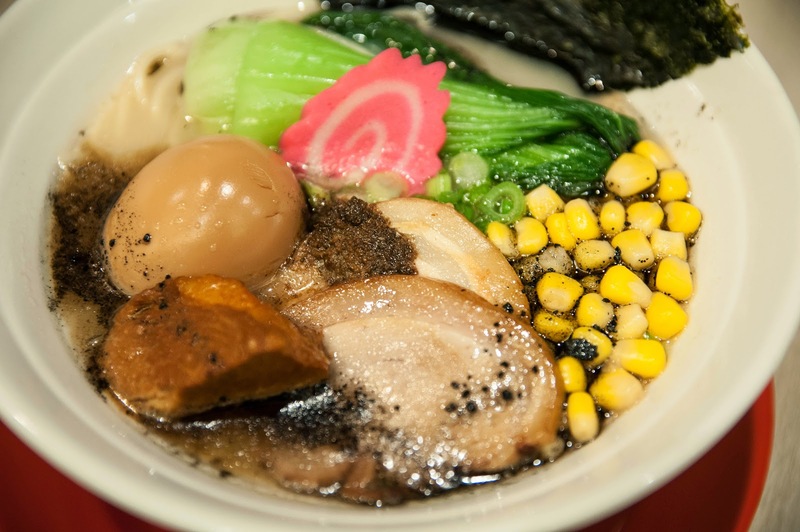 The ultimate topping comes with–with tender, succulent char siew, kakuni(braised pork belly), lava egg, naruto(Japanese fish cake), seaweed, pakchoy, sweet corn and spring onions. 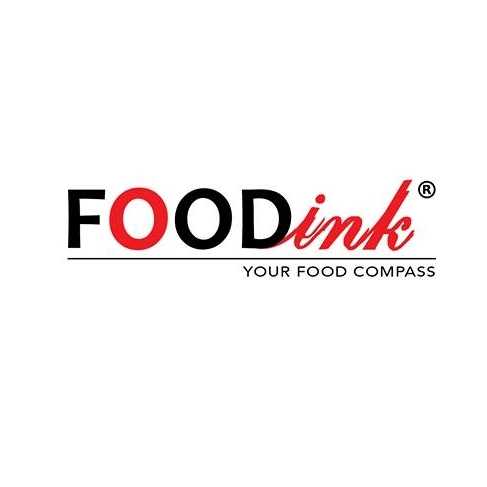 I was quite impressed with the tender, juicy chunks of pork belly braised in sauce for hours which gives the pork wonderful rich flavour and melts in the mouth with every bite. 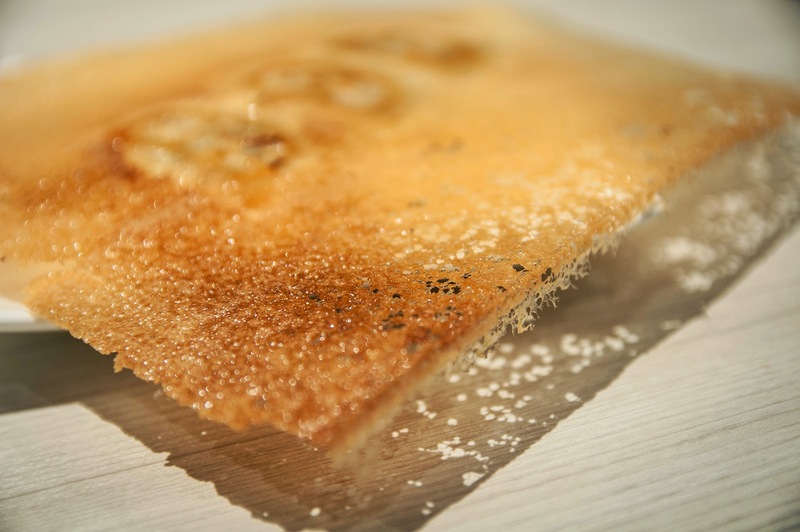 You just have to try this because it is so tender and it is well marinated too! 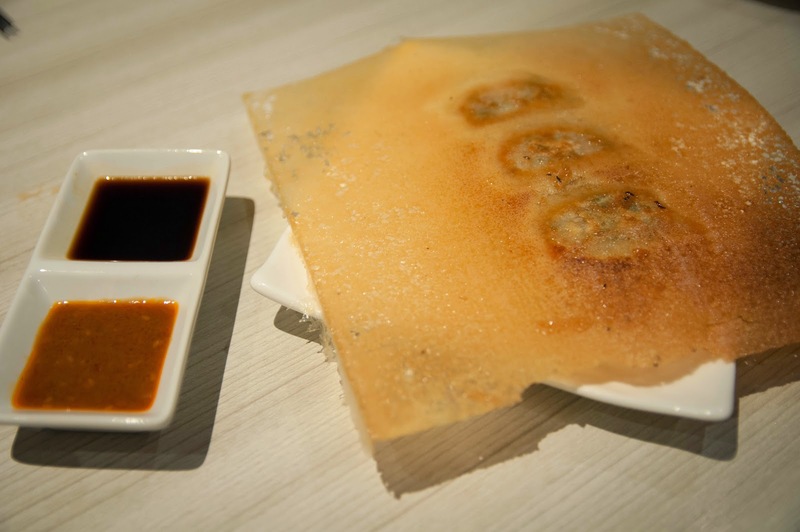 From the presentation, I thought it was some dessert but it's actually a special traditional way to present Gyoza. 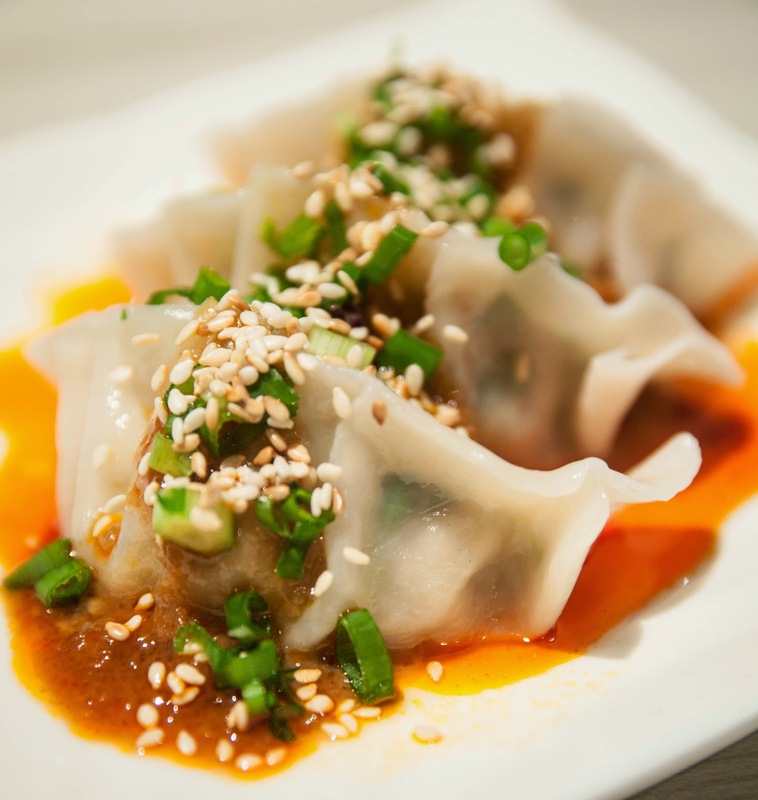 I love this compared to the pan-fried Gyoza, just love the taste of their sauce.